Well that escalated quickly. After a year of farming Firelands every week on five different characters, Flametalon of Alysrazor finally decided it was time to make an appearance in my bags. This mount has been one of my “bucket list” mounts for a while now so to say i was a bit excited is an understatement. I was so used to going through the motions of it not dropping that i was in the process of switching alts to give the instance another run before i even realized it did drop. 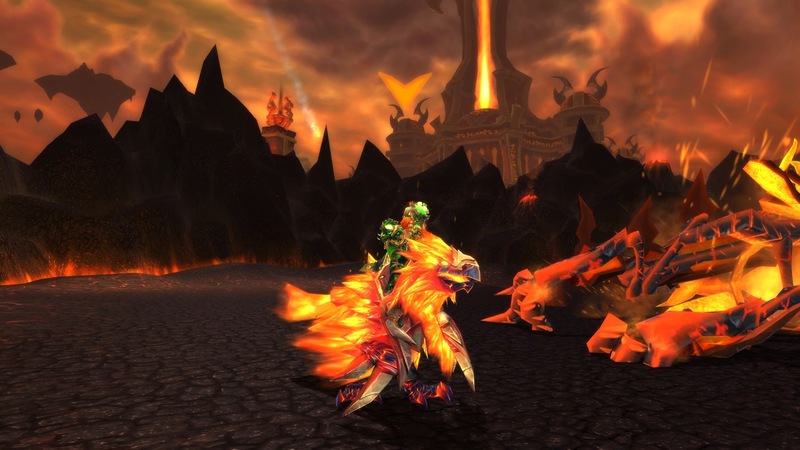 Needless to say the fire chicken chocobo is finally mine and i never have to do Firelands again. I now have all three mounts from that raid. Hurray!